April 4th, 2018. 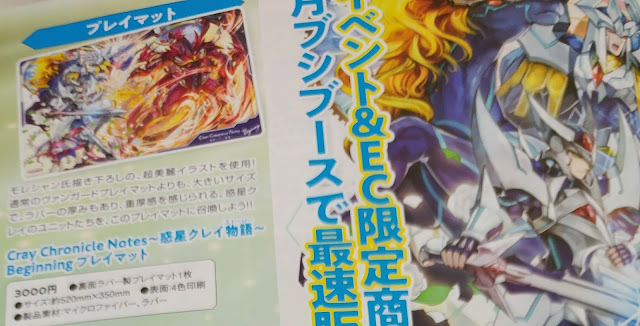 The latest issue of Monthly Bushiroad magazine shows a special playmat that will be available at the festival for 3000 yen (approx. $28 US) based on the Cray Chronicle Notes Beginning anthology that will also be available for purchase at Vanguard Fest. The artwork focuses on the King of Knights Alfred and Blaster Blade facing off with Dragonic Overlord, emphasizing the "beginning" focus of the anthology. There will also be a pair of clear files based on Cray Chronicle key art available for 800 yen, and a version of the two items packaged together. 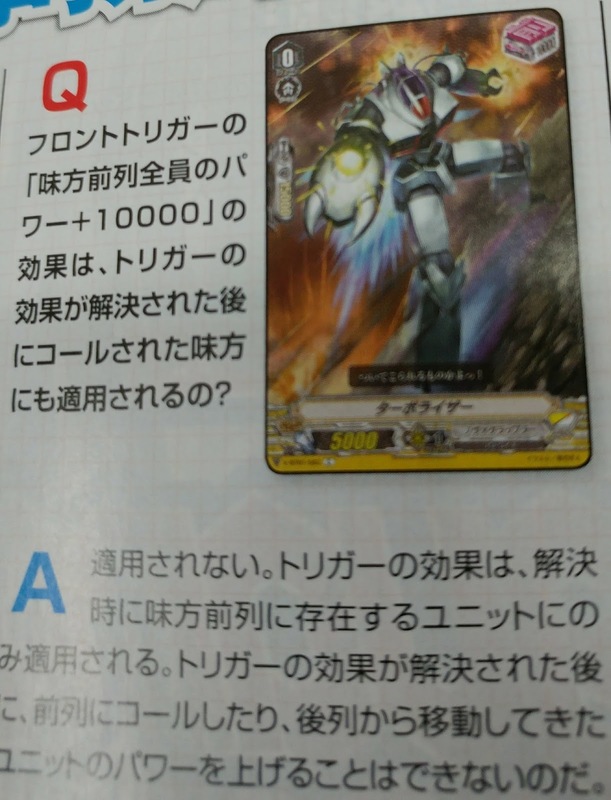 A Q&A on Front Triggers clarifies that only units in the front row at the time the trigger is checked will gain the 10k power boost. If a unit is moved to the front row from the back afterwards, or if a new unit is called to the front row, it won't receive the power. The sample trigger presented is Turbo Raizer, a Front Trigger for Nova Grappler. 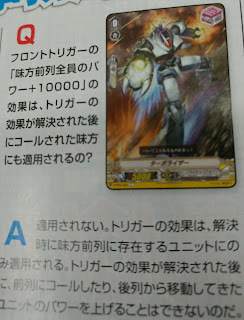 Turbo Raizer is shown with 15000 shield, the same as what the new Critical Triggers possess in the Standard format. Previously some had speculated Front Triggers would have just 10k shield, putting them between Draw (5k) and Critical Triggers in defense value. Another page from the magazine previews an illustration from the AKR (Akira) booth at the Vanguard Festival. 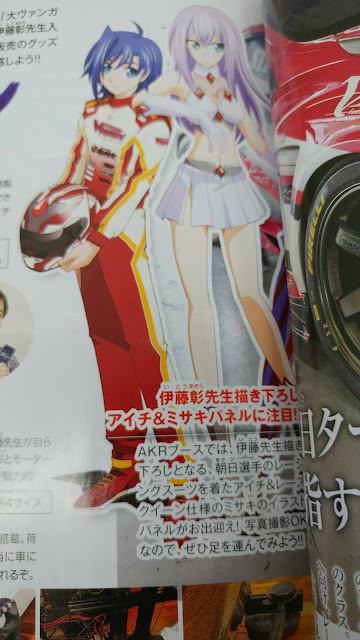 Franchise creator Itou Akira created the illustration reimagining Sendou Aichi as a racecar driver and Tokura Misaki as a race queen. Itou will be the feature of a panel at the AKR booth, though the specifics of it are unstated. At past panels he's done autograph signings and drawing demonstrations. 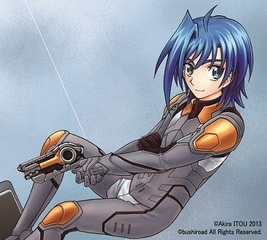 Sample section of the promotional artwork.